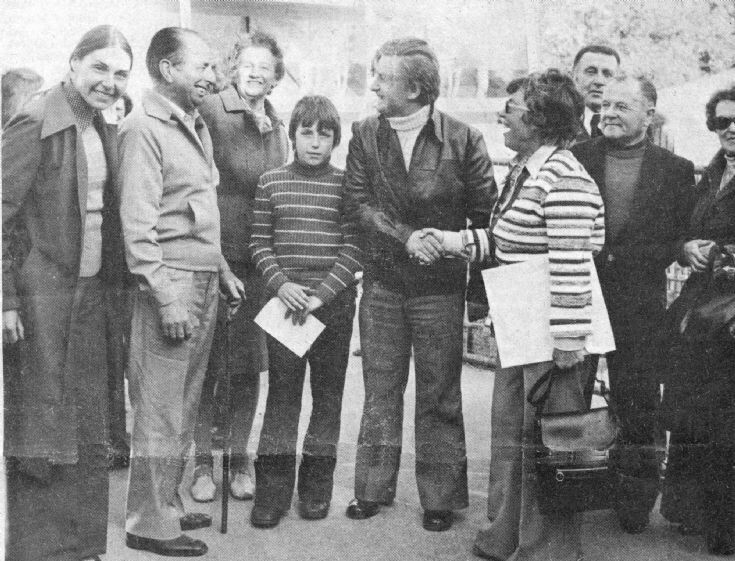 The year, 1976, is an even number and that means that it is the turn of the French twinning association members to visit the Slaugham parish. A cameraman from a local newspaper was on hand to record their arrival in Handcross. From the left can be seen Mme Prunier, Roger Ray, Nora Ray, Max Prunier, Pierre Prunier, and secretary Helen Beard. The complete newspaper cutting can be seen by clicking on Open Document.